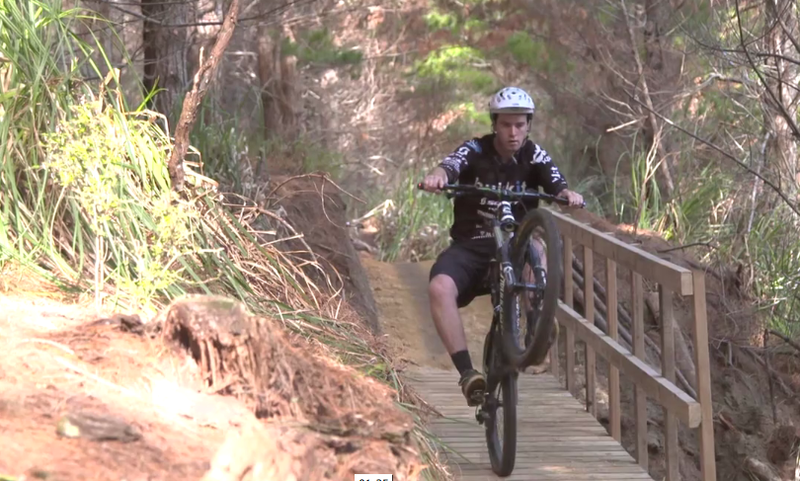 Woodhill Mountain Bike Park - New Trail Network -Stage 1 Open NOW! Just one of the lovely corners on one of 11 new trails. A solid effort by the Woodhill Trail Crew saw nearly 20kms of new trail ready for the Stage 1 Opening April 2015. Sustainability and summer proofing was high on the priority list and the crew has pulled off trails with amazing flow and shape that will last right throughout the year. Thousands of hours of planning, marking, cutting, digging, busting through dense forest and mostly hand loading nearly 100 Tonnes of Sandstone has 11 new trails open and ready to ride. With these new trails in unseen parts of the forest, with more gradient and a new type of terrain we have already seen an extremely positive response from regular Woodhill riders and from those who have rediscovered one of NZ’s most frequented riding destinations. Whilst we are about to lose some of the existing trails due to harvesting, the Fresh Trail Vibe is not over yet, the Trail Crew are still going hard and we plan to have another 60km of fresh trail and new infrastructures in place by April 2016.